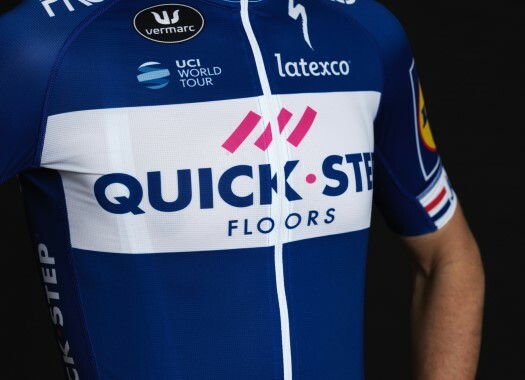 Elia Viviani of Quick-Step Floors got his second consecutive stage win in the Giro d'Italia. Although the pressure was lighter, he was not feeling 100 percent. The rider confessed that the beginning of the stage was rough for him. "This morning in the first two hours I felt really really bad," he said at the end of the stage. "I felt low on energy. "All the pressure was gone yesterday and I was a bit relaxed this morning but kilometre by kilometre I felt bad but then we did a really amazing final. We knew we could be the favourites of the day because we were better than the others." The spring preparation for Viviani is showing its results in the Italian grand tour. "Maybe the real sprinters were feeling a bit of pain because of the distance but I came ready from competing in the classics so today it was a perfect day to manage the final," the Italian explained. "Because of the wind and the roundabouts we needed to have a tactic and we followed the plan, we just missed Saba (Fabio Sabatini) because he had a flat tyre in the last 10 kilometres. "The plan worked really well. When I saw (Sam) Bennett going out of the corner, I waited a little bit longer because we were told this wind was going to make it difficult. So I went to his right side and I did a full sprint to the line."